Not perfect (not even good!) NMM but i like the industrial, dirty and used look it has. May go back and add further highlights at the end of painting her but looks ok for now. 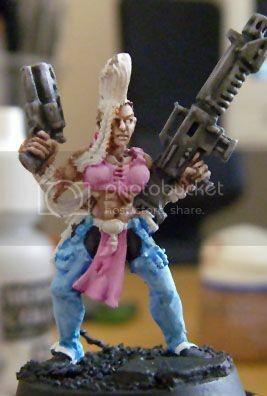 Will try and get some more done tonight, want to do at least 3 more including the half done ganger.